Kindergarten graduation only happens once, so make it special for your students with amazing kindergarten graduation gifts they will love and remember for years to come. Here are 10 easy and fun gift you can present to your students to commemorate their big day. T-shirts make great kindergarten graduation gifts for your kids and their parents. Purchase T-shirts with fun graduation designs or customized with your school name and graduation date, a class photo, your class motto, or any personalized imprint that’s meaningful to your class or students. For an added personal touch, let students sign the back of each other’s shirts to create fun, wearable keepsakes of their kindergarten year. Five and six-year olds love stuffed animals, so a teddy bear dressed in grad gear makes the perfect Kindergarten graduation gift. 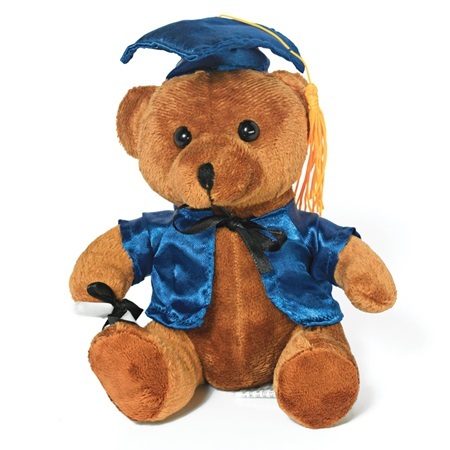 You can hand bears out to your graduates as they process in for the graduation ceremony or as they process out. If you’re not having a formal ceremony, but you are having a class graduation party, put a grad bear at each place setting to celebrate each graduate. Create a mini library for each of your little graduates to keep him or her reading all summer long. You’ve been with your students all year long, and you know them well, so pick out a few books for each student, specifically based on their interests and reading level. Personalize each book with a little note inside each one. Put them all inside a tote bag or a decorative box for a beautiful presentation. It’s never too late to start saving for college, and your little grads will love to have their very own piggy banks designed especially for that purpose. Purchase standard ceramic piggy banks, and use permanent marker or paint to write “My College Fund” on each one. Present them to students at your formal graduation ceremony, during your class graduation party, or on the last day of school. Instead of a traditional yearbook, present your students and their parents with DVDs filled with memories of the school year. You’ll have to plan this one in advance and take plenty of photos all year long to include on the DVDs. Include memories from field trips, show and tell, holiday celebrations, class parties, special events, and more. Put all the photos on a DVD and make a copy for each student. Students and parents will love watching their DVD years later to relive the great memories from kindergarten. Your little graduates will be very excited about starting “big kid” school next year, so they will love to get their very own school supply kits that they can take with them on the first day of first grade. 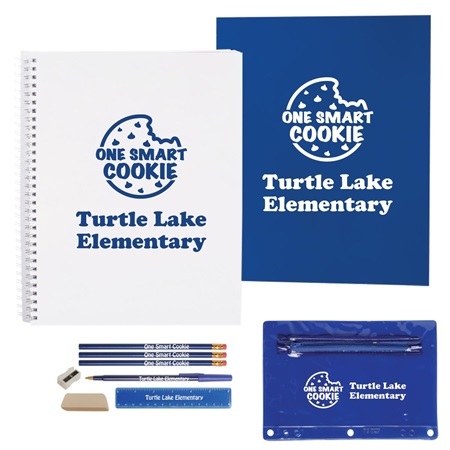 Fill backpacks or zippered bags with notebooks, folders, fun pencils and erasers, rulers, crayons, and more and hand them out to your graduates at your class graduation party. Start a scrapbook for each student at the beginning of the year and fill it with memories specific to each student. Include drawings or homework from the beginning of the year, the middle of the year, and the end of the year to show progress. Also, add photos featuring each student, photos of things that happened during the year, personal messages, and more. 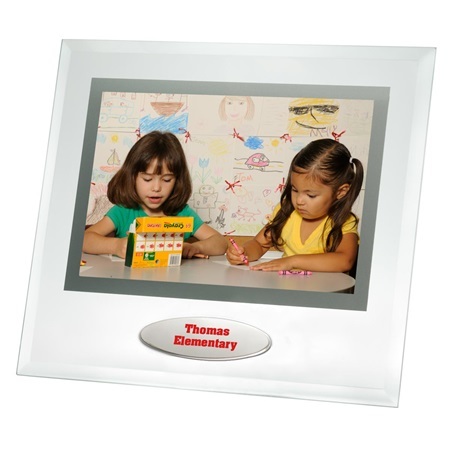 Picture frames are great kindergarten graduation gifts, because your little graduates (and their parents) can display them at home as a way to always remember kindergarten year. Choose a frame with a full-color graphic, a stylish metal frame, or a fun globe frame. Add your custom imprint and insert a class photo, a personal note, or a printed message to turn the frame into a treasured keepsake. Kindergarten graduation is special, both for your students and their parents, and special gifts like these will help them remember the great times they had during their kindergarten year.